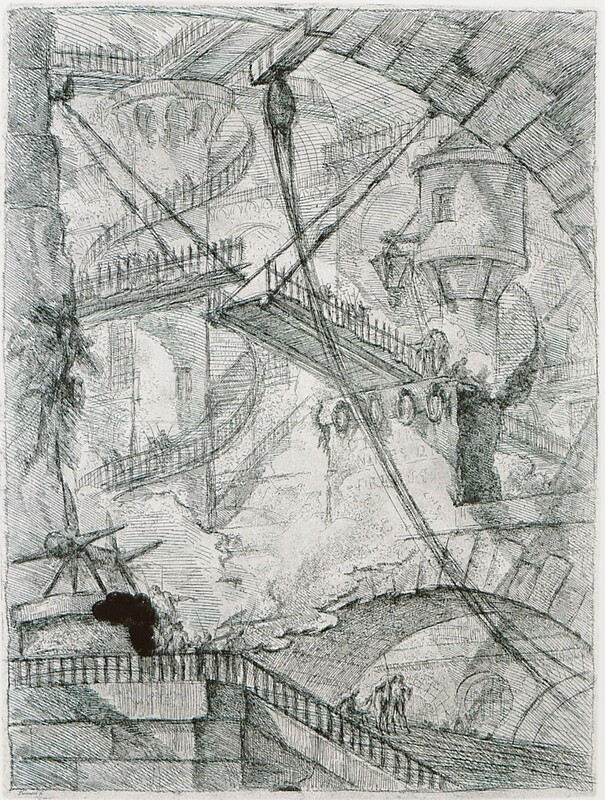 View of prison in Rome (imaginary depiction). Man in the rack. 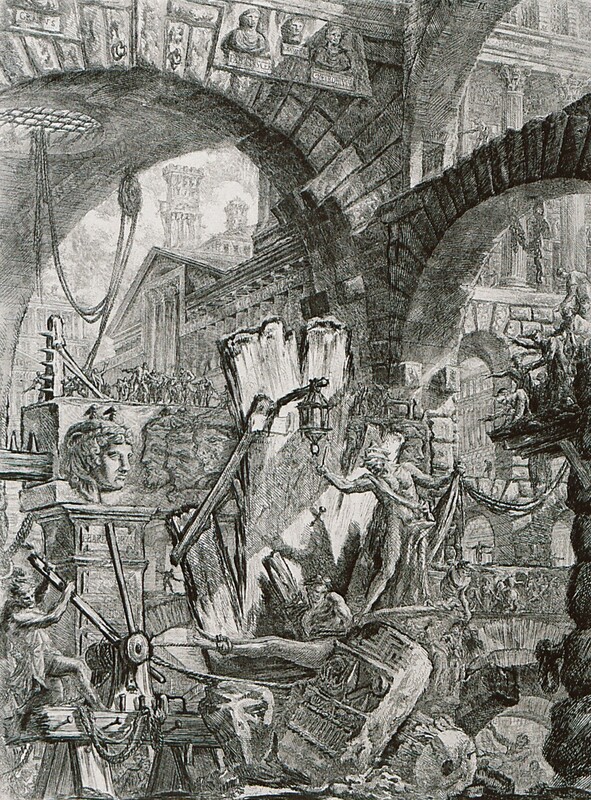 Depiction of torture from Piranesi's "Carceri d'invenzione". 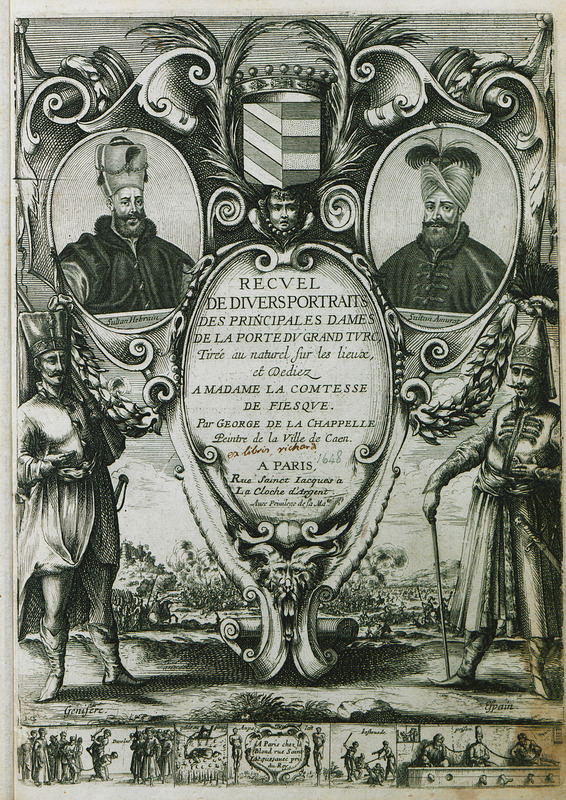 Round Tower. 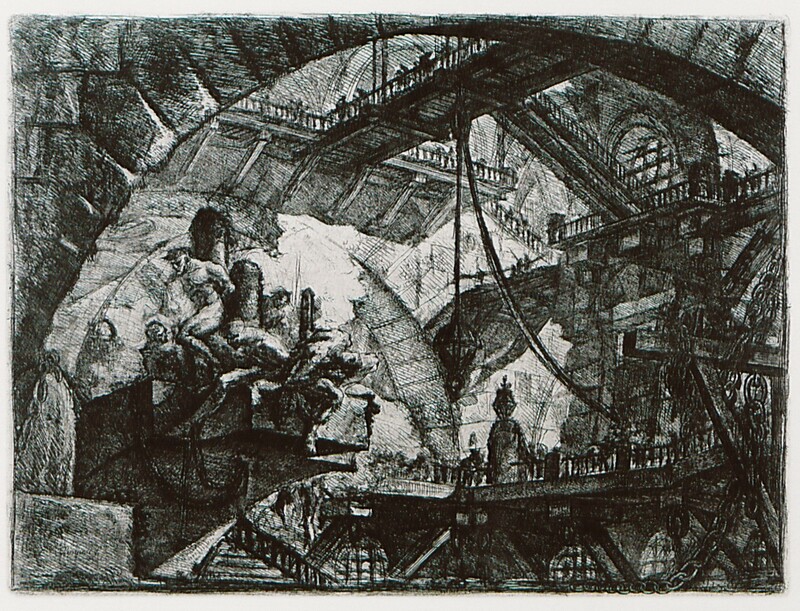 Fictitious prison space from the first edition of Piranesi's "Carceri d'invenzione" (1749/50). Round Tower. 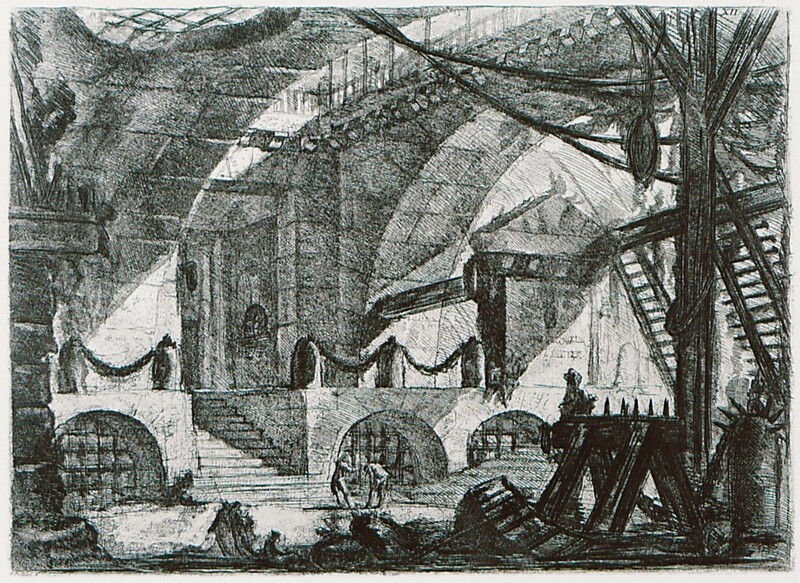 Fictitious prison space from the second edition of Piranesi's "Carceri d'invenzione"(c. 1761). 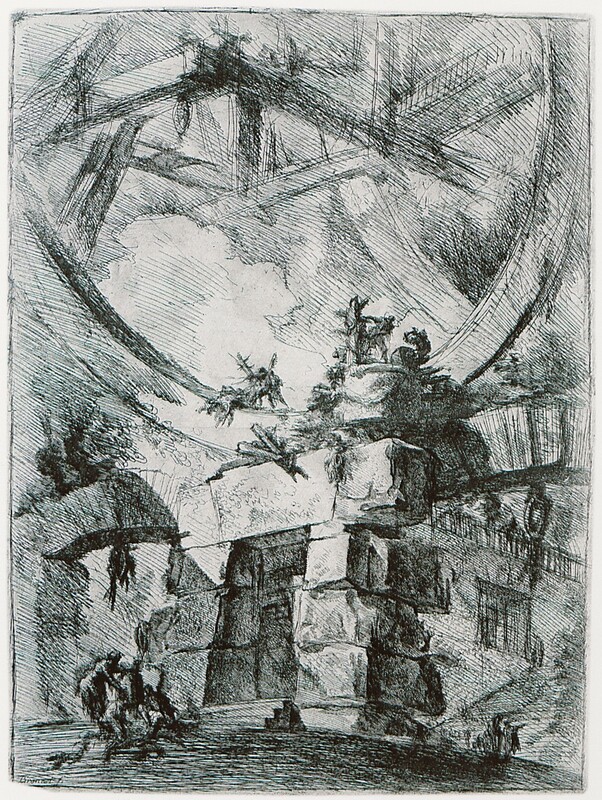 The Grand Piazza (Great Square): Fictitious prison space from the first edition of Piranesi's "Carceri d'invenzione" (1749/50). 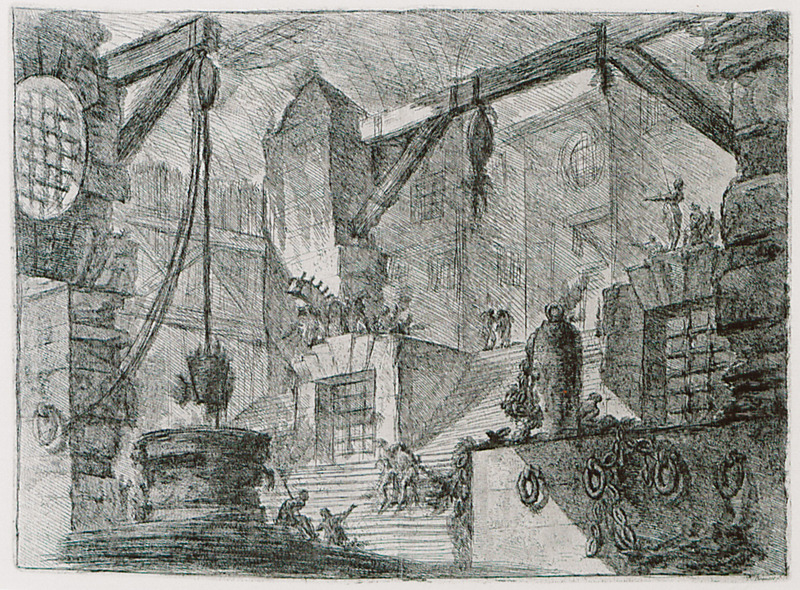 The Grand Piazza (Great Square): Fictitious prison space from the second edition of Piranesi's "Carceri d'invenzione" (1761). Lion Bas-Relief. 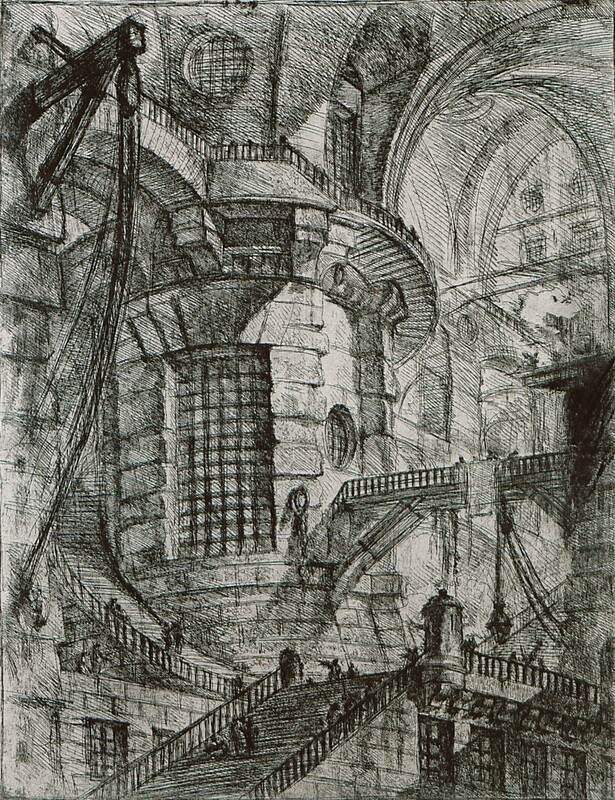 Fictitious prison space from Piranesi's "Carceri d'invenzione". The Smoking Fire. 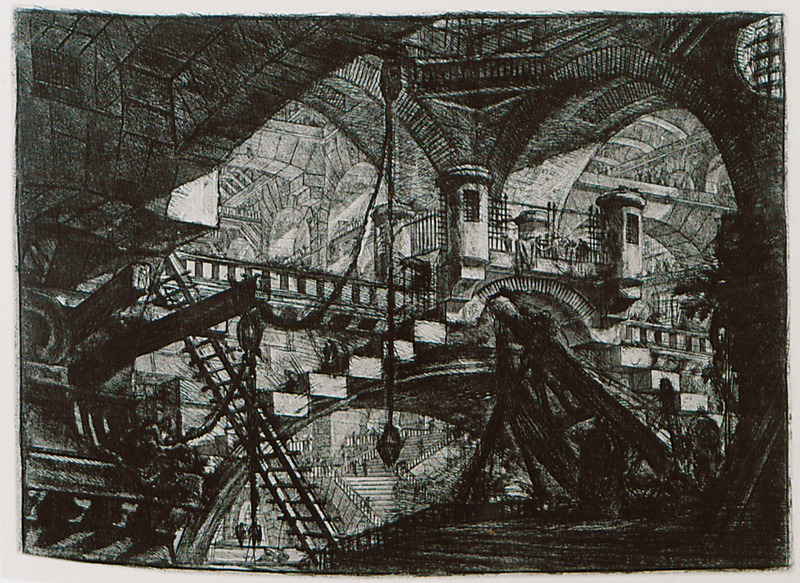 Fictitious prison space from the first edition of Piranesi's "Carceri d'invenzione" (1749/50). The Smoking Fire. 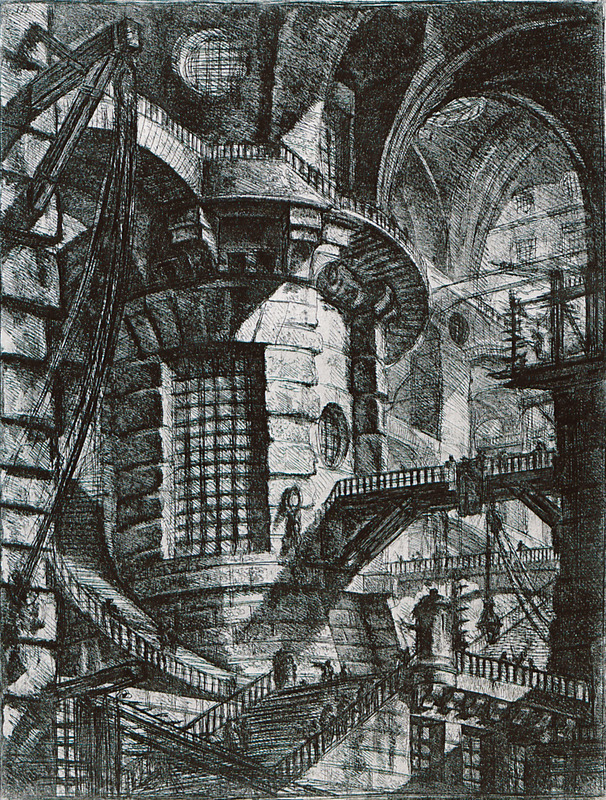 Fictitious prison space from the second edition of Piranesi's "Carceri d'invenzione" (1761). The Drawbridge. 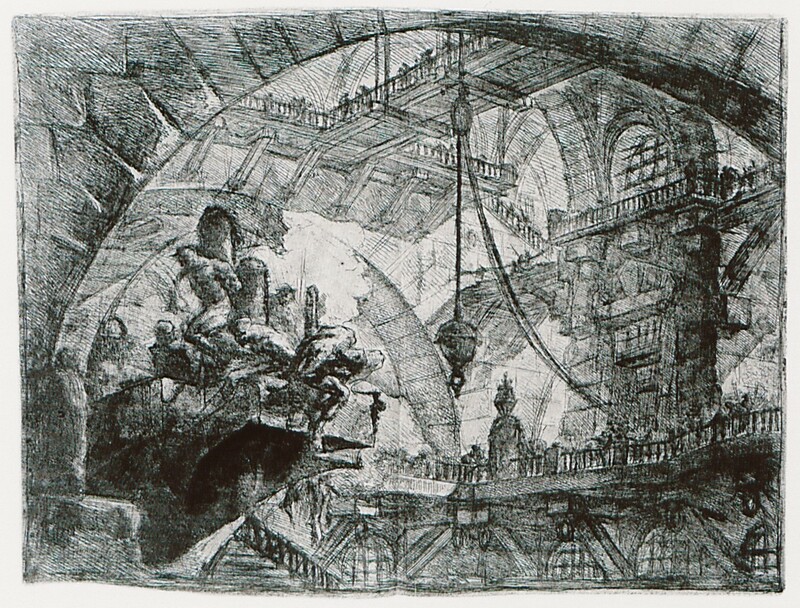 Fictitious prison space from the first edition of Piranesi's "Carceri d'invenzione" (1749/50). The Drawbridge. 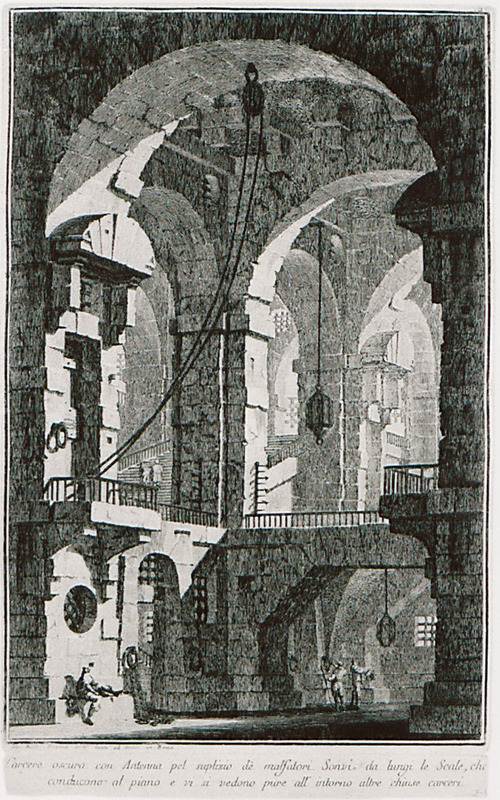 Fictitious prison space from the second edition of Piranesi's "Carceri d'invenzione" (1761). Staircase with Trophies. 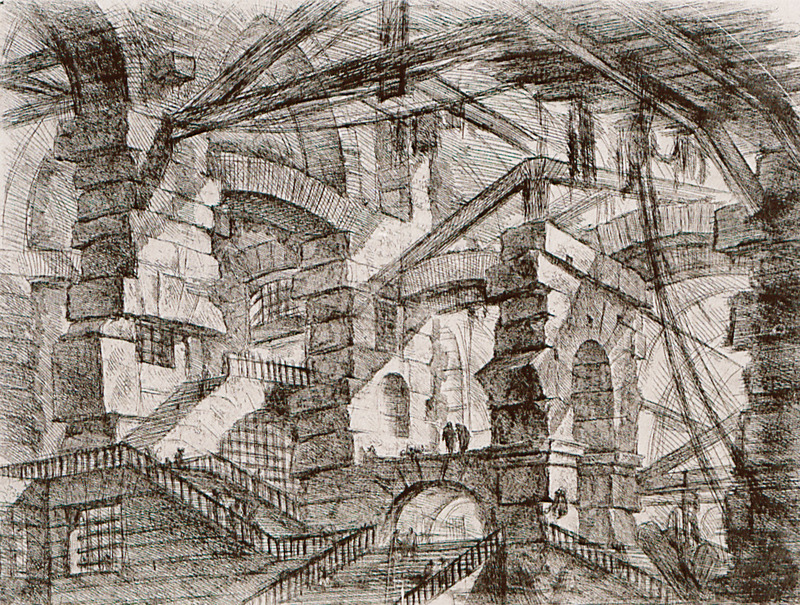 Fictitious prison space from the first edition of Piranesi's "Carceri d'invenzione" (1749/50). Staircase with Trophies. 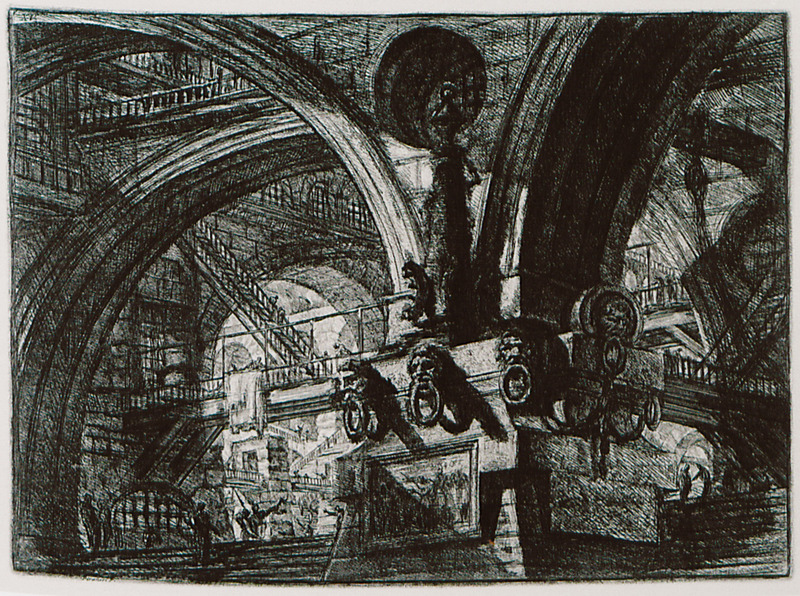 Fictitious prison space from the second edition of Piranesi's "Carceri d'invenzione" (1761). The Giant Wheel. 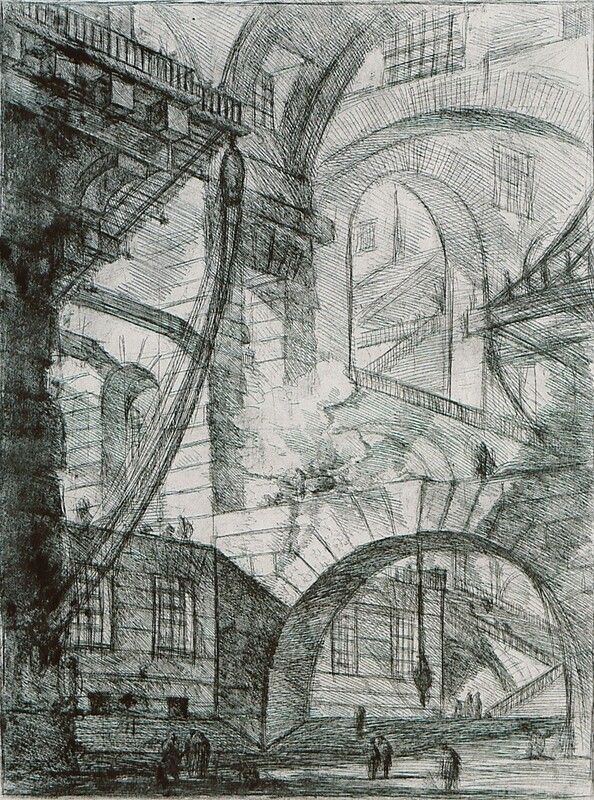 Fictitious prison space from the first edition of Piranesi's "Carceri d'invenzione" (1749/50). The Giant Wheel. 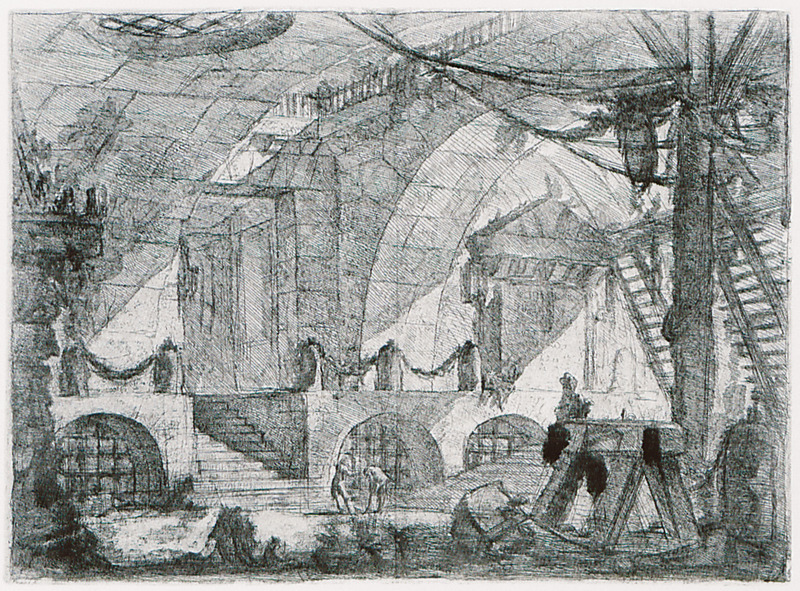 Fictitious prison space from the second edition of Piranesi's "Carceri d'invenzione" (1761). Prisoners on a projecting platform. 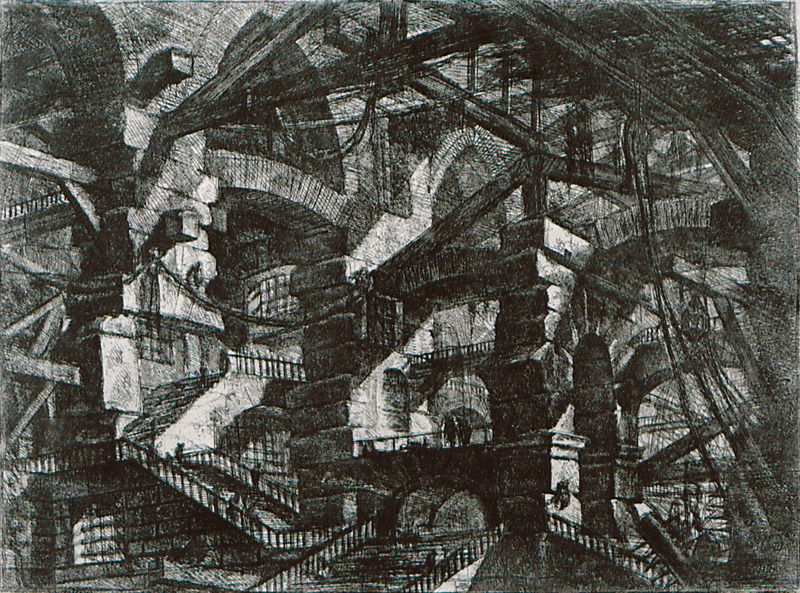 Fictitious prison space from the first edition of Piranesi's "Carceri d'invenzione" (1749/50). Prisoners on a projecting platform. 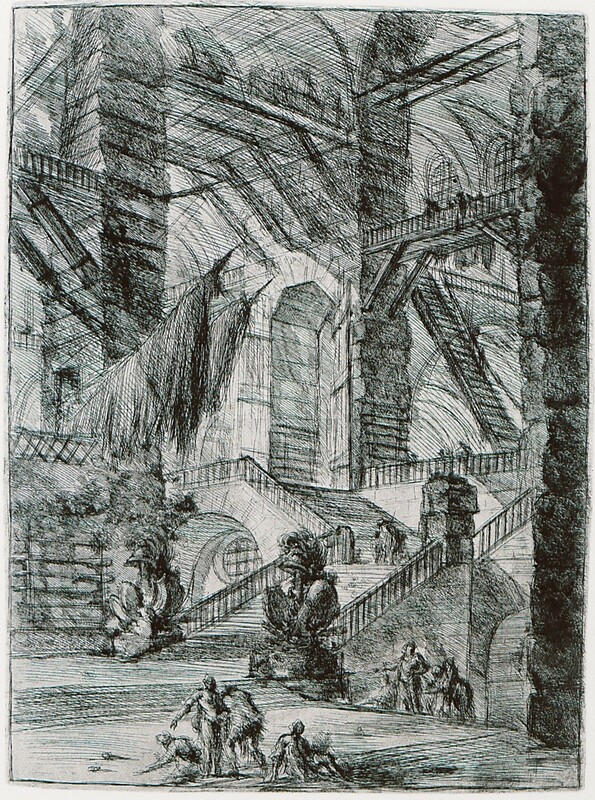 Fictitious prison space from the second edition of Piranesi's "Carceri d'invenzione" (1761). Arch with a shell ornament. 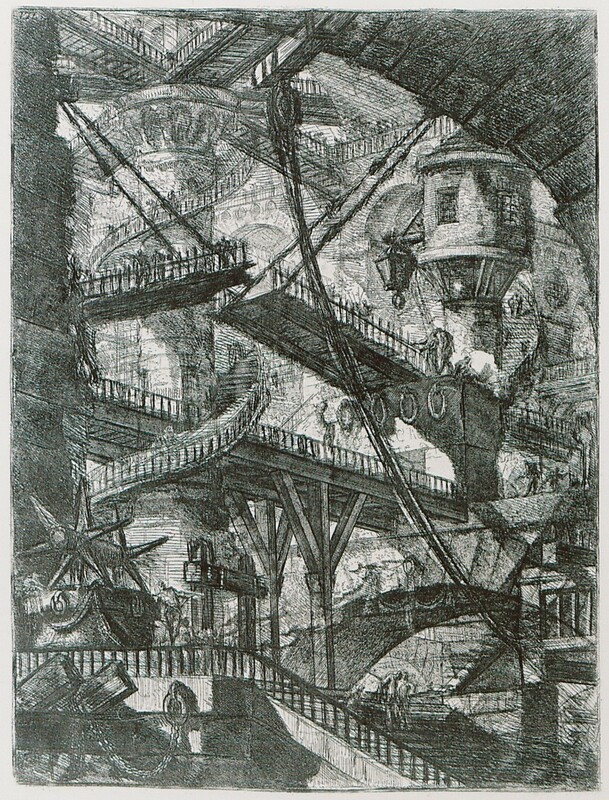 Fictitious prison space from the first edition of Piranesi's "Carceri d'invenzione" (1749/50). Arch with a shell ornament. 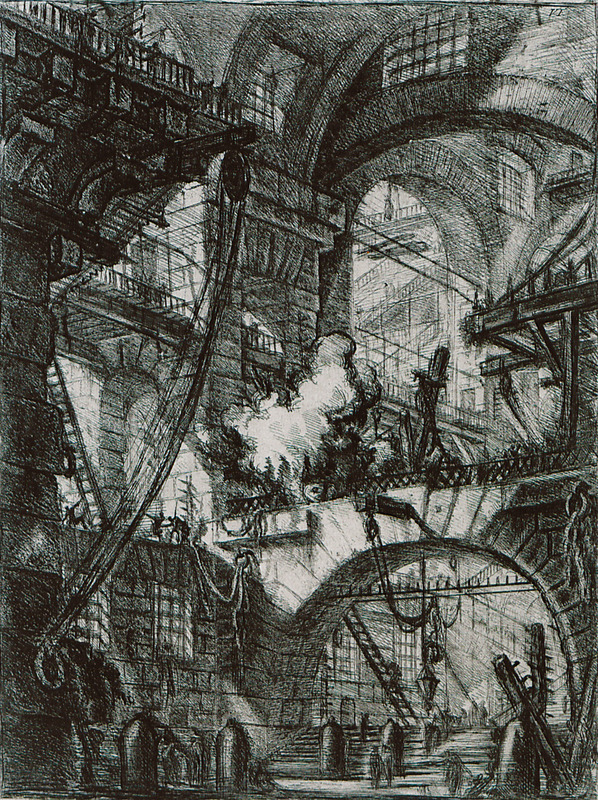 Fictitious prison space from the second edition of Piranesi's "Carceri d'invenzione" (1761). 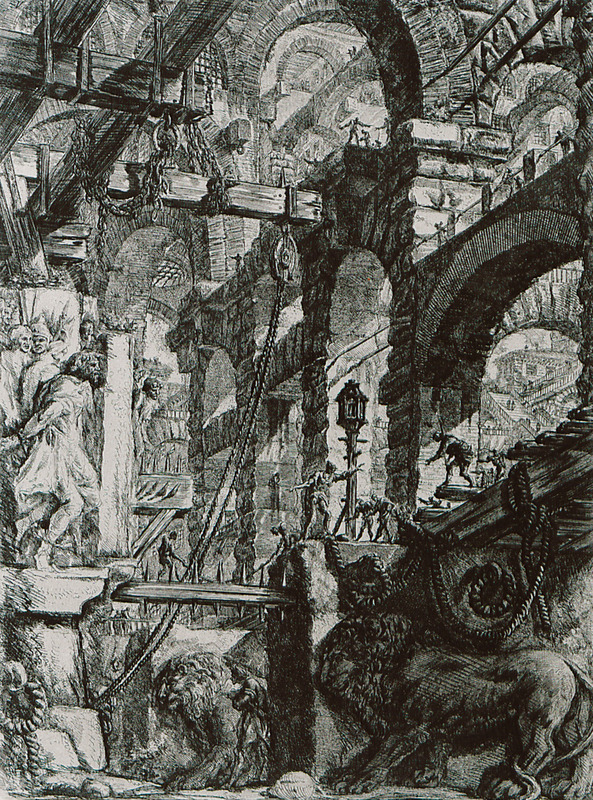 Sawhorse: Fictitious prison space from the first edition of Piranesi's "Carceri d'invenzione" (1749/50). 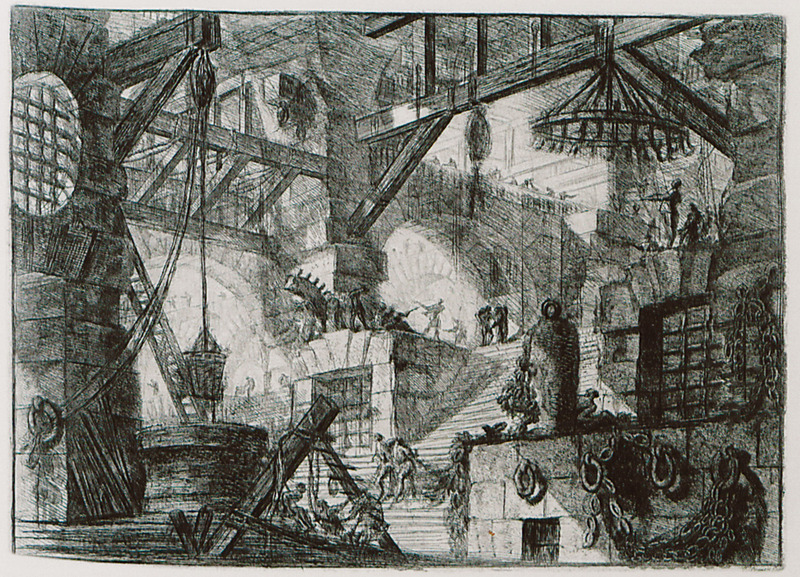 Sawhorse: Fictitious prison space from the second edition of Piranesi's "Carceri d'invenzione" (1761). 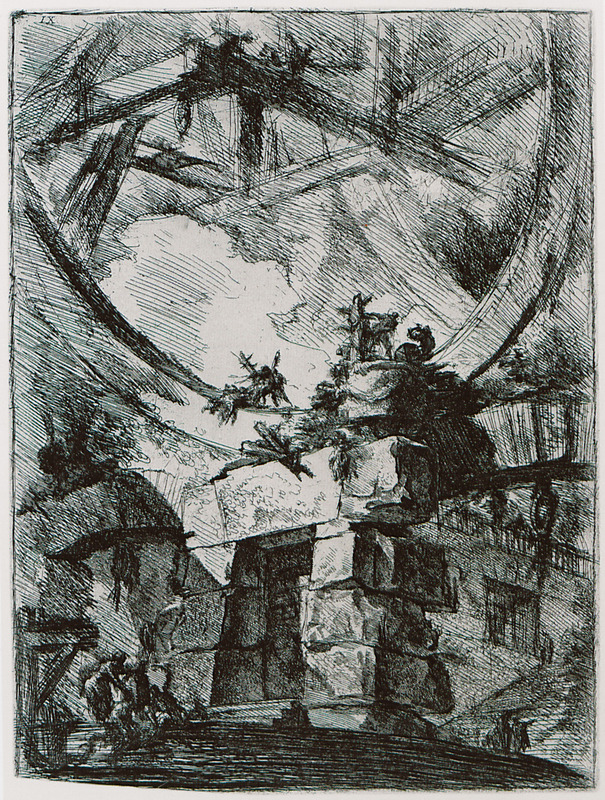 The Well: Fictitious prison space from the first edition of Piranesi's "Carceri d'invenzione" (1749/50). 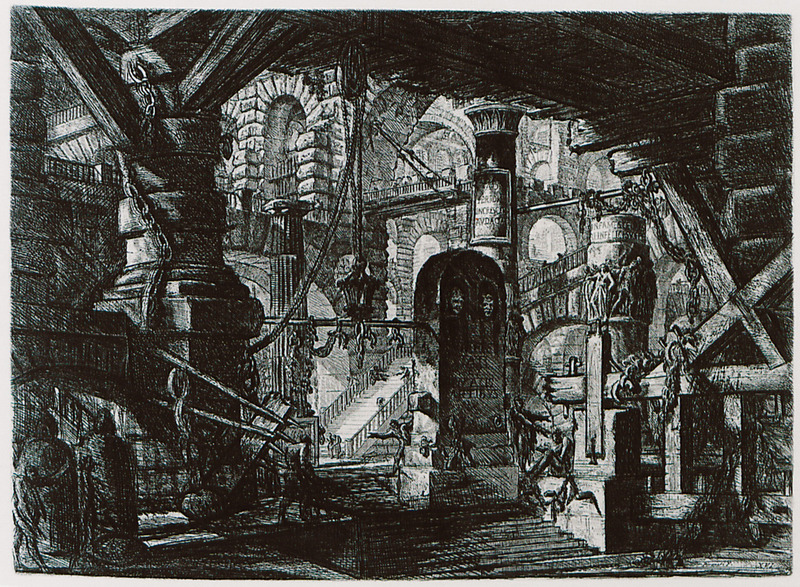 The Well: Fictitious prison space from the second edition of Piranesi's "Carceri d'invenzione" (1761). 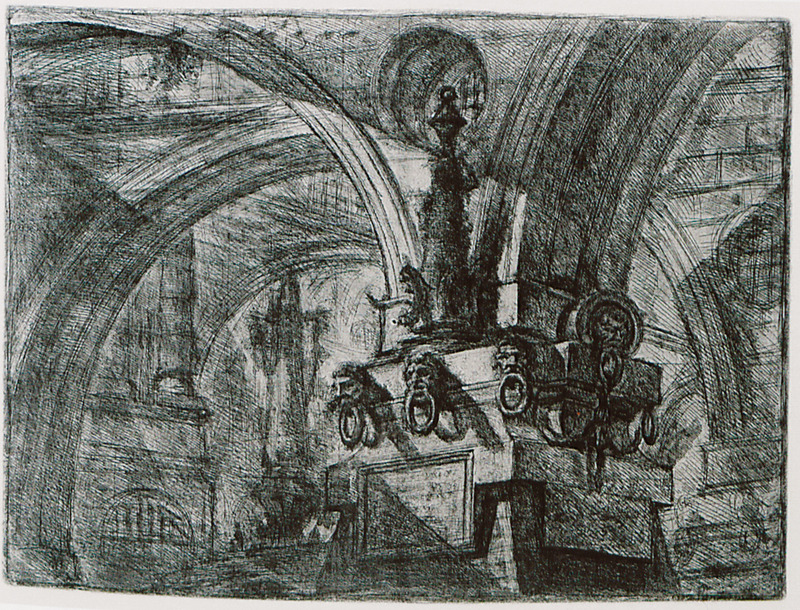 Gothic Arch: Fictitious prison space from the first edition of Piranesi's "Carceri d'invenzione" (1749/50). 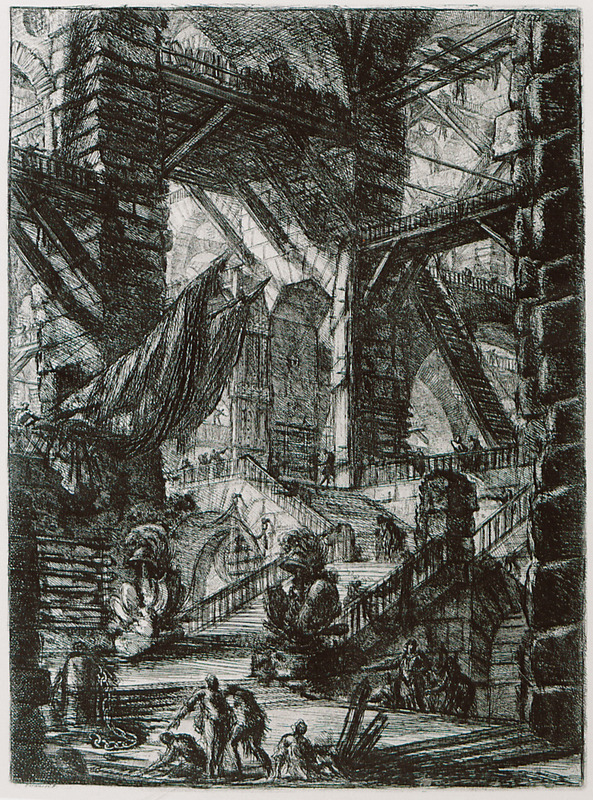 Gothic Arch: Fictitious prison space from the second edition of Piranesi's "Carceri d'invenzione" (1761). 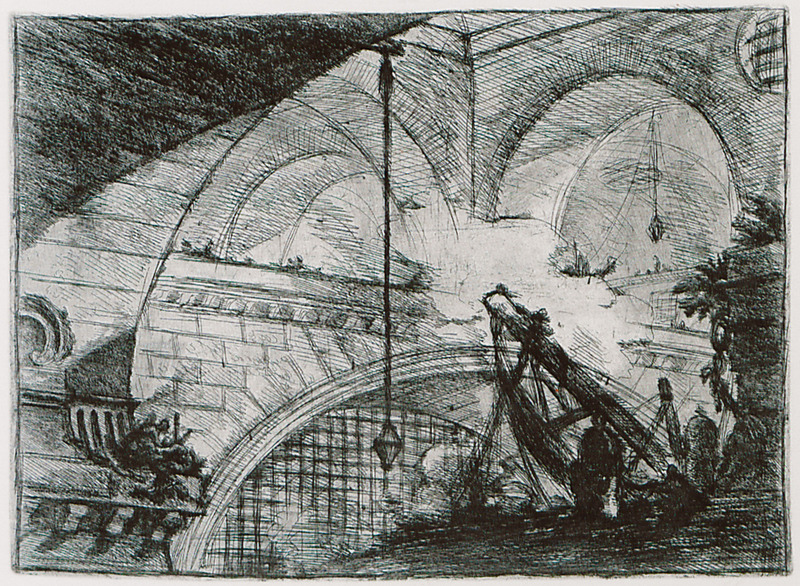 Pier with a Lamp: Fictitious prison space from the first edition of Piranesi's "Carceri d'invenzione" (1749/50). 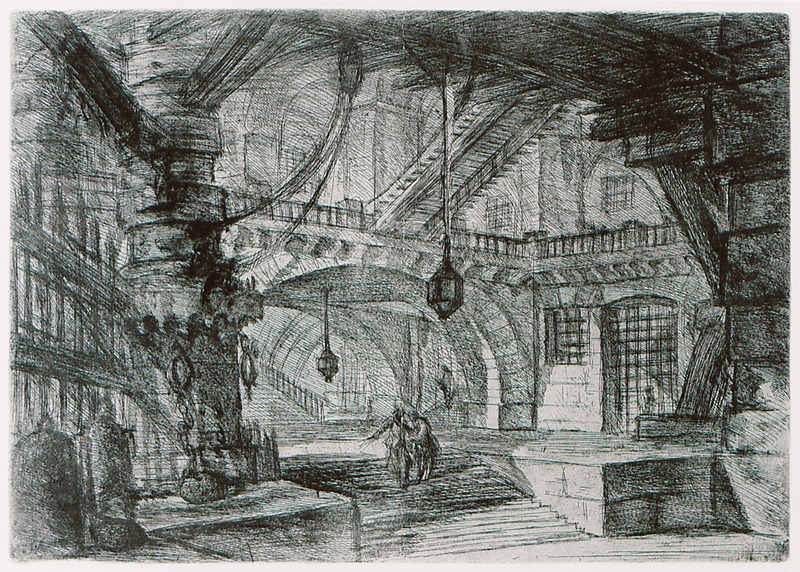 Pier with a Lamp: Fictitious prison space from the second edition of Piranesi's "Carceri d'invenzione" (1761). 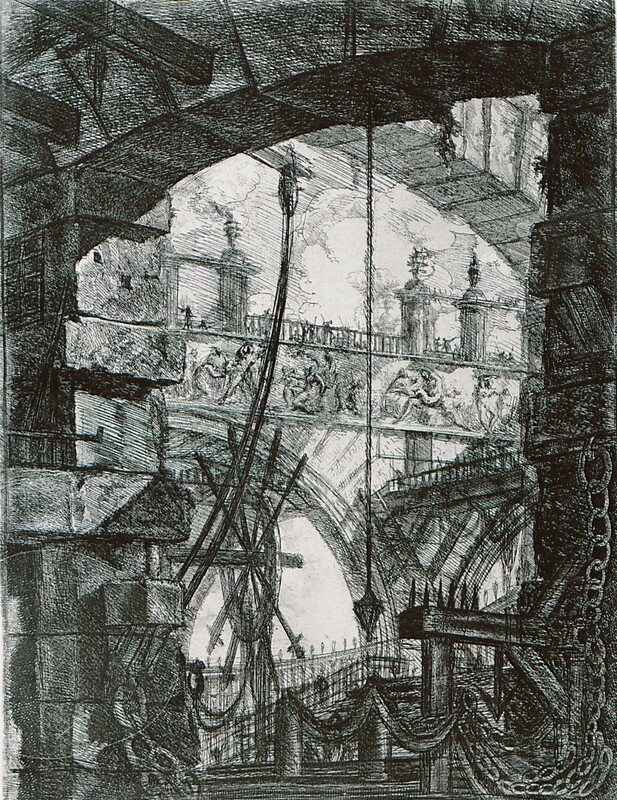 Pier with Chains: Fictitious prison space from the first edition of Piranesi's "Carceri d'invenzione" (1749/50). 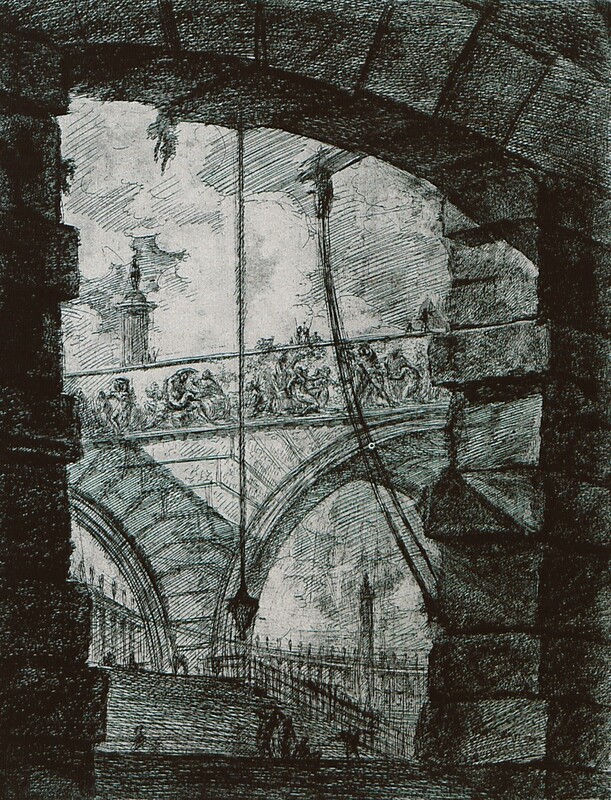 Pier with Chains: Fictitious prison space from the second edition of Piranesi's "Carceri d'invenzione" (1761).